Hey! 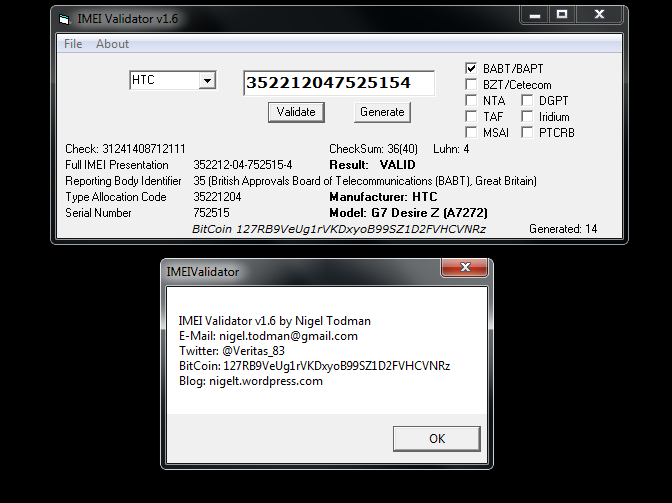 If you have a Make/Model that isnt detected by this tool feel free to drop an E-Mail to [email protected] with the subject “IMEI” or “TAC Submission” with the first EIGHT (8) digits of your IMEI along with your Make/Model of phone. It will be detected in the next version. ← DOGE Sender v1.0 – Much DOGE, Send Many!